Aloha! 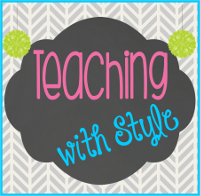 It's Nicole from Teaching With Style! The entire State of Hawaii adopted the McGraw-Hill Reading Wonders basal program this year. I'm now waist deep trying to figure out whole group, small group, technology, and how this all relates to the Common Core. 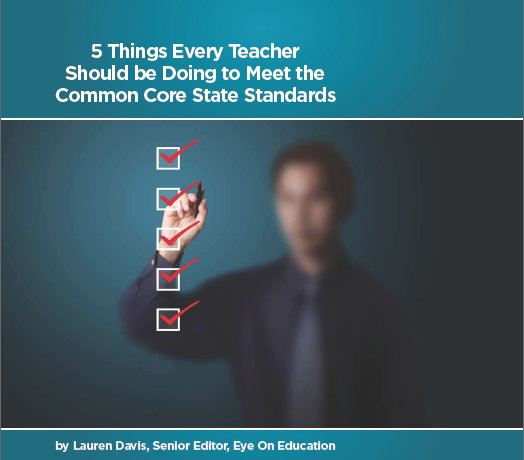 I recently read this article 5 Things Every Teacher Should Be Doing to Meet the Common Core State Standards. A lot of these shifts can be taught using a close reading technique. 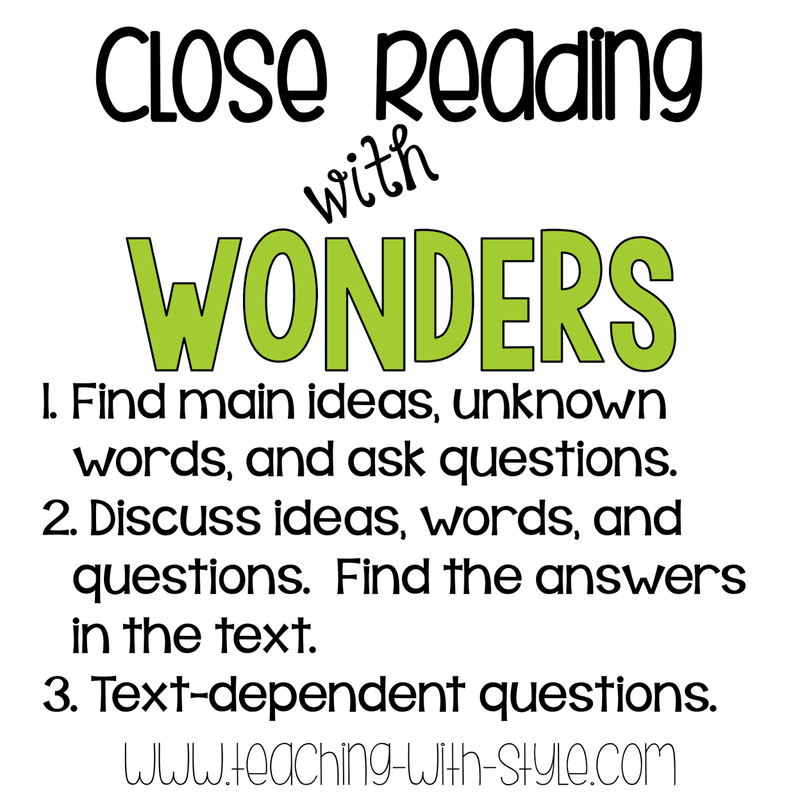 However, it seems that everyone has different ideas about what close reading means - and that's ok! To me, close reading is reading the text more than once for different purposes each time. 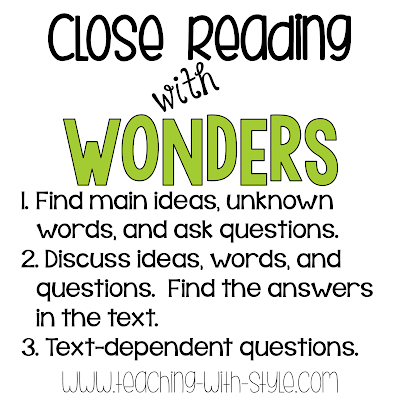 The Wonders program outlines a close reading structure with their leveled readers, which are Lexiled for text-complexity. With each step, have the children re-read the story. To better facilitate the first step, I taught my students how to annotate with post its. 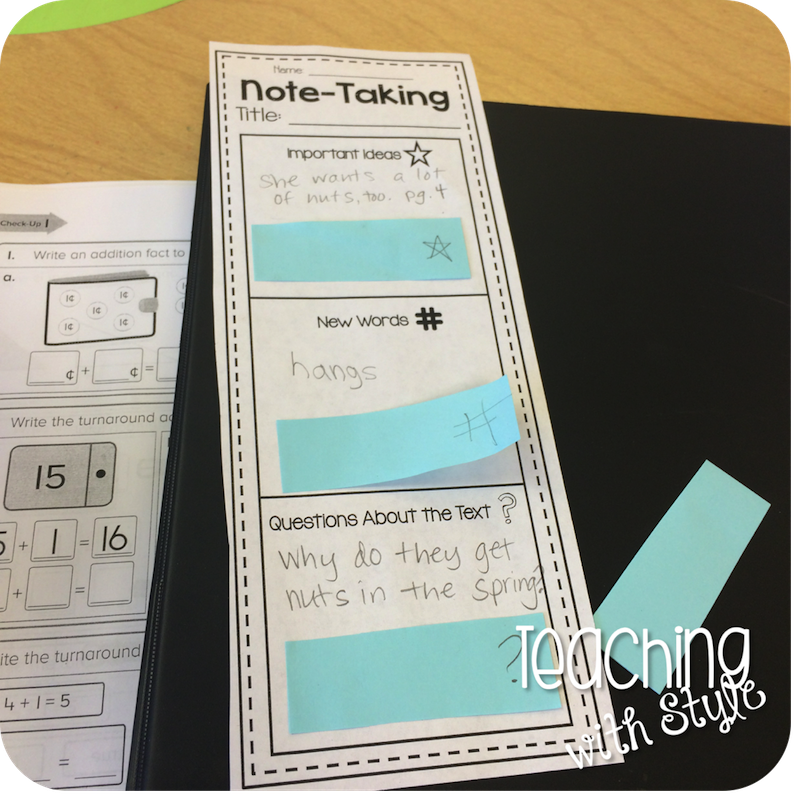 I made them bookmarks to write their ideas on, then they flag the correct part of the book with a post-it. Here is a freebie for you to try it out! If you are teaching Wonders, as well, I have some units for sale in my store to help you implement the program! Thank you for the note taking freebie! I am still trying to wrap my head around the close reading concept. We adopted Wonders this year, too! While I love the stories, I am not a big fan of the assessments or other resources! Thanks for the note taking freebie. 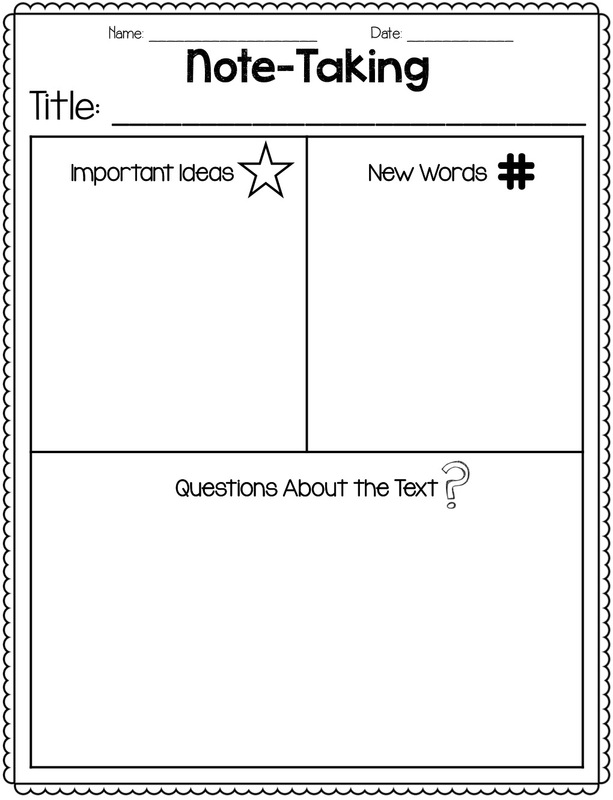 Everyone can use this helpful page to teach kids to note their thinking, no matter what curriculum they use! I especially like the vertical half-sheet, what a great bookmark for students to keep in their books! I'm so glad you like it and use it with a variety of materials! We have been working on this same concept! 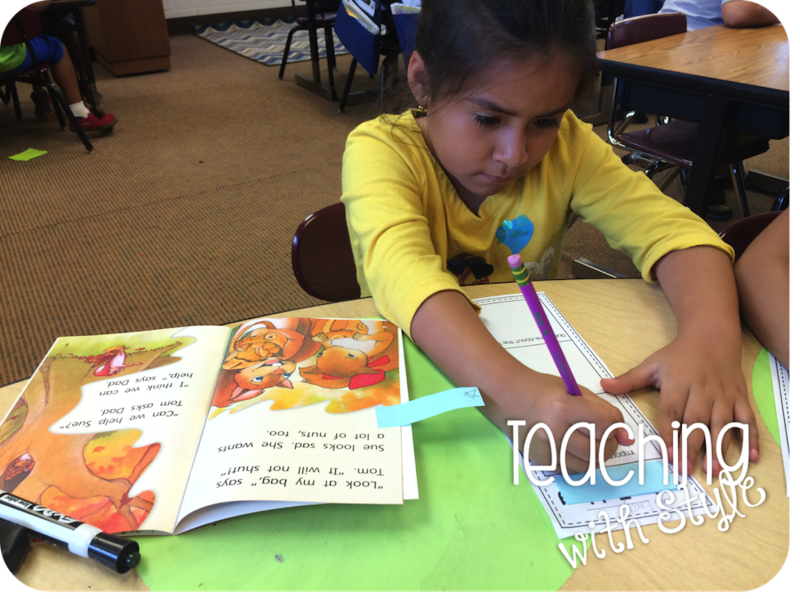 My focus is getting my kids to read closely and show me their evidence. The leveled readers have been great for this! Thanks for the great freebie! 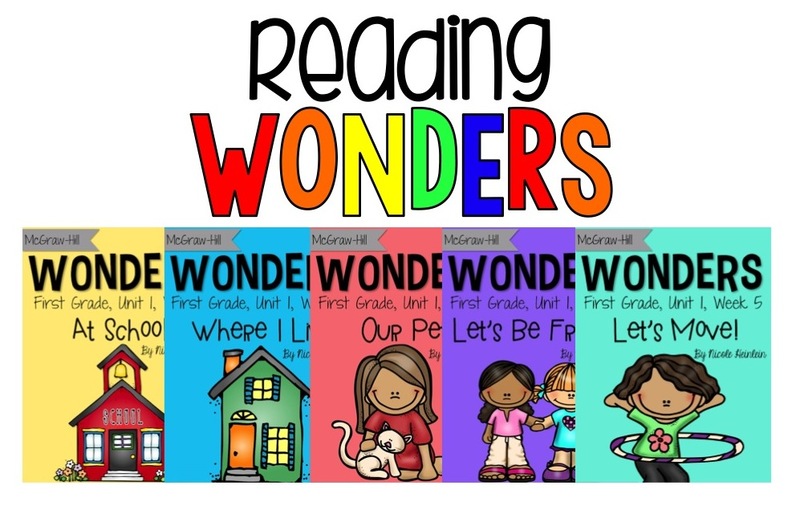 Wonderopolis - Have you heard of it? Thanksgiving Fun and Freebies for Your Classroom!